I’m going to say something that may be controversial, but I’m totally pissed! 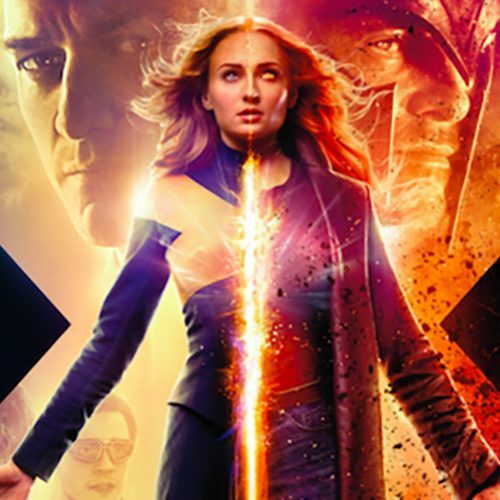 Not because of Wizards of the Coast and their team working on Dungeons & Dragons, but I’m pissed that most game publishers do not offer the level of quality in regards to layout design and information architecture of their products. Since the launch of D&D 5th Edition, I have been exceedingly impressed with the organization of their material. 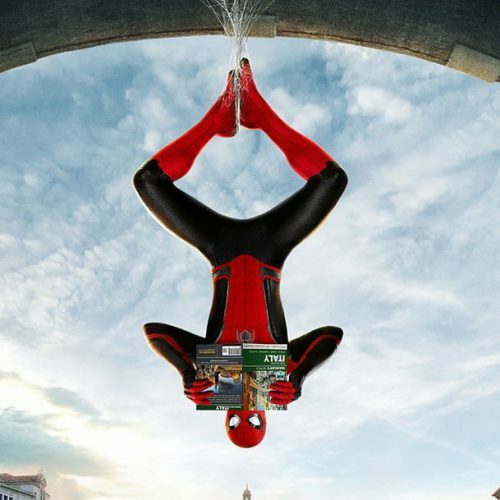 Sure, there have been missteps in regards to how they place content and the mechanical flow of their stories, but how they decide what goes in their books are superior to most game books out there. Various books overload mechanics in the front of the book, but the D&D developers really look at how people engage their content and what makes sense in providing a toolkit that delivers the information needed to push adventures forward – rather than bog down groups with mechanics. 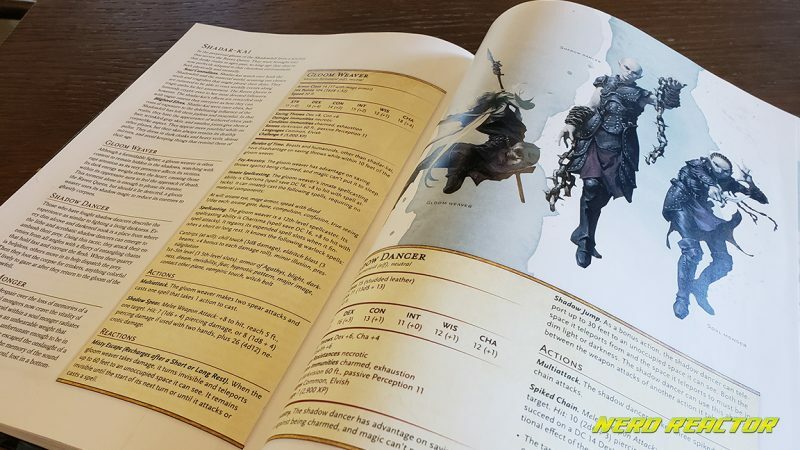 This is a different approach from the mechanics-heavy approach from D&D 3rd Edition and all the other systems that spawned in inspiration from that era of tabletop games. The extensive coverage of the eternal conflict between the Demons of the Abyss and the Devils of Hell. The Dark Seldarine, among other details that expand on the lore of the elves for D&D 5th Edition. Exclusive to this book! Compared to its two similar books, this one primarily deals with a look into the lore of some of the core races, but it does spearhead the book with the almighty Blood War. A tradition in all editions of D&D when it comes to extra-planar entities is the Blood War revolving around the eternal conflict between the chaos-loving Demons and law-abiding Devils. Expanding on the bestiary for both major enemy factions, Dungeon Masters (DM) have a greater toolkit of entities to use for their stories. 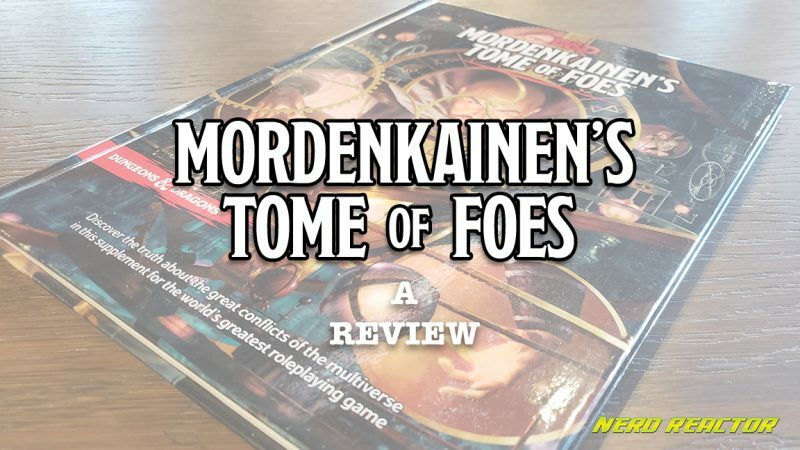 Beyond this, Mordenkainen’s Tome of Foes also delves into the lore of the elves and the inclusion of the Shadar-Kai and Raven Queen into their cosmology, along with the lore of the Dwarves, Halflings, and Gnomes. 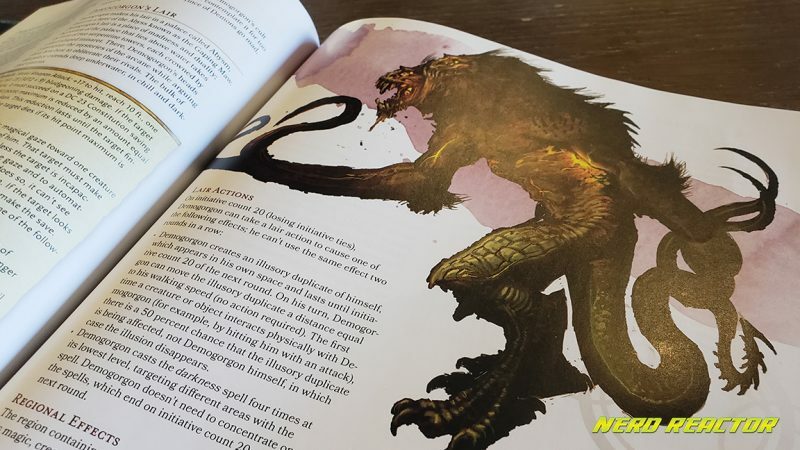 Not to be ignored, the fan favorite from the classic Spelljammer (imagine D&D in space) era of D&D, the Gith, finally makes an in-depth appearance for 5th Edition. A section dedicated to the Gith and their division of philosophy after their uprising against the Illithids (Mind Flayers). When running a campaign that has races from beyond the Material Plane, Mordenkainen’s Tome of Foes offers options for those who want to develop characters. 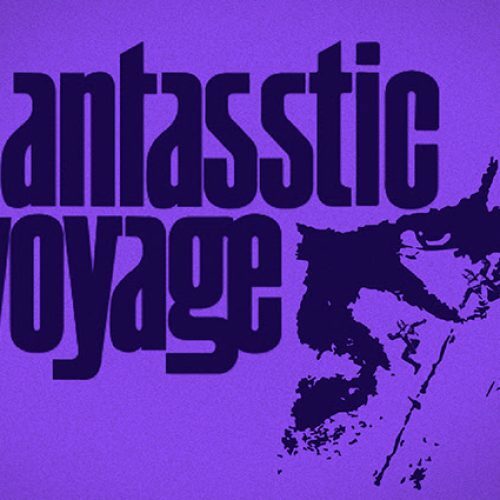 Currently, I’m building a Githyanki pirate-in-exile for a campaign that starts in Sigil, the multiverse’s City of Doors. So this sourcebook is crucial in the creation and development with that desired character in mind. 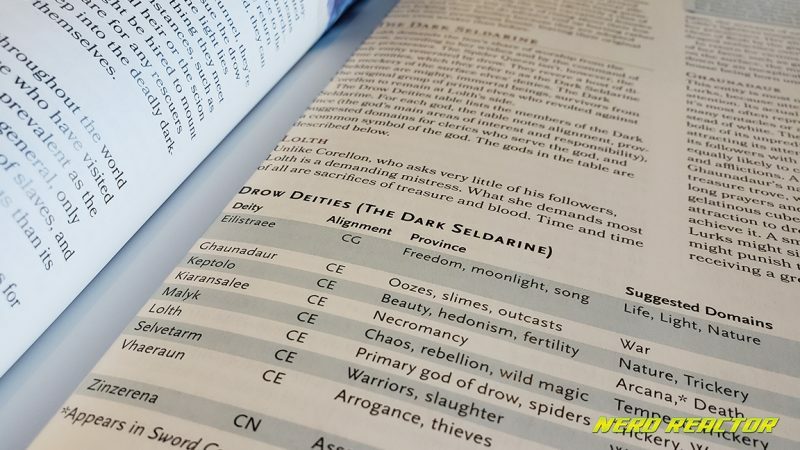 We are currently closing out our campaign involving the Drow (Dark Elves), and so the analysis of the lore of the elves really helps anchor how all elves operate in this edition of D&D. The return of the details surrounding the Demon Lords, last seen in the adventure – “Out of the Abyss”. 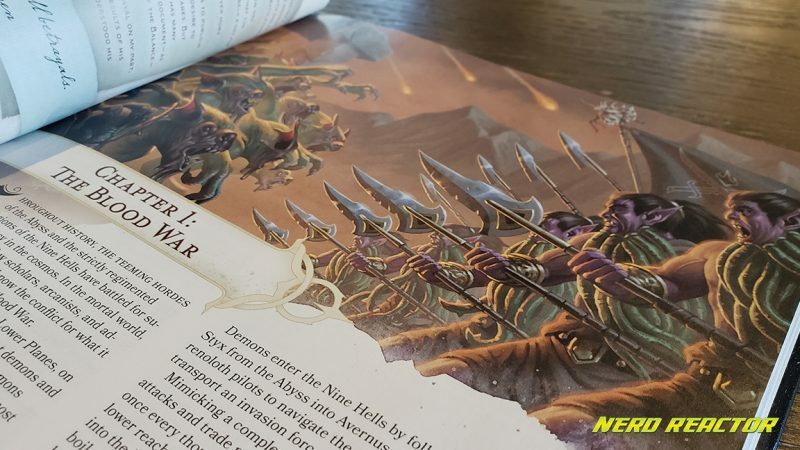 You will definitely see material that comes from a prior sourcebook, particularly Out of the Abyss, since the Demon Lords are brought back to emphasis. 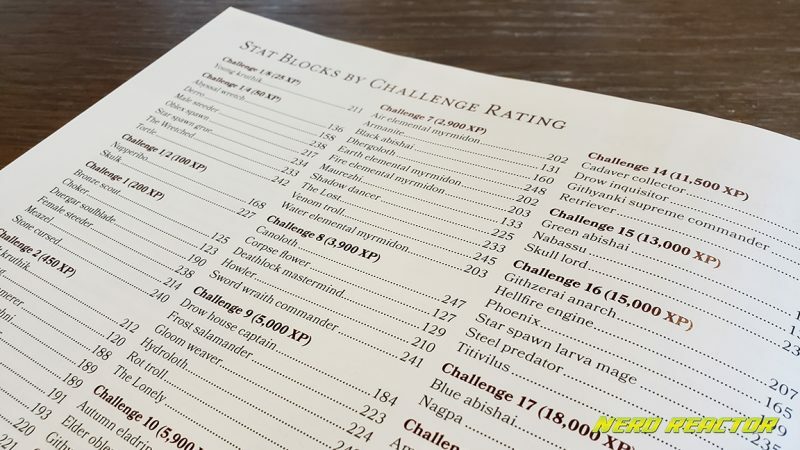 The stat-blocks and descriptions of all the Demon Lords are once again available in this book and although not everyone favors buying repeated material. For people who did not pick up Out of the Abyss, they can enjoy using one book for everything and everyone involved in the Blood War. 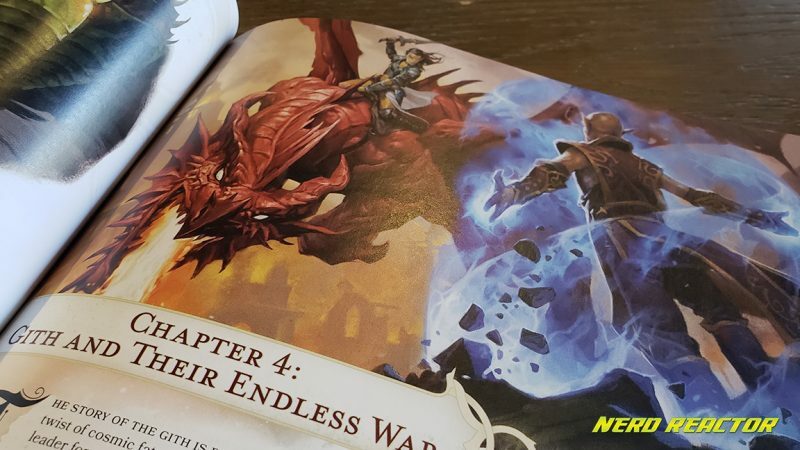 As more books are created and the D&D development team refines their process, there will be a stronger distinction between what is placed in books that are toolkits and what goes in adventure guides. The Shadar-Kai, revised for 5th Edition to represent those elves who followed the Raven Queen into the Shadowfell. An adventure. Like my coverage of similar books that are more like a toolkit, this is an options and rules supplement. 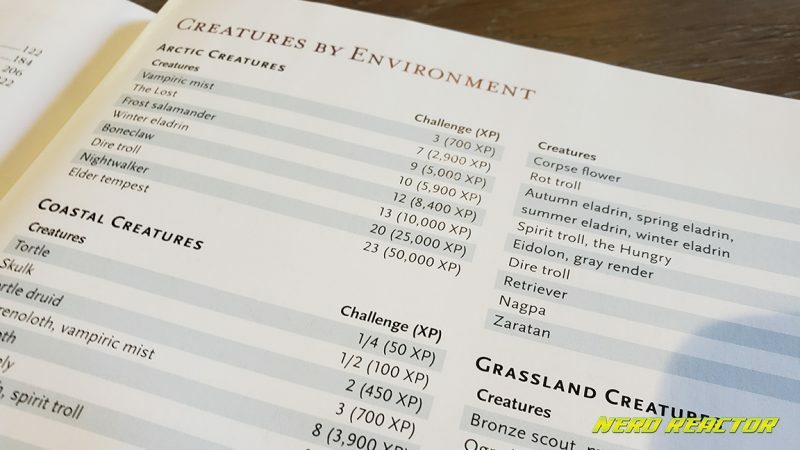 I wouldn’t say there’s quality of life improvements like in Volo’s Guide, but this covers things that can provide more context to your standard player races. Although there are no adventures, there is enough information to create adventures and that is something certain Dungeon Masters prefer. Planescape. Prior to the release of this book, various players hoped to see more of the planes beyond the Material. Unfortunately, we do not see the full picture, but we get some notable favorites. Particularly the Devils, Demons, and the Gith. You won’t see coverage of the Outlands that surrounded the pillar, with the almighty donut in the sky, called Sigil. You won’t see Mechanus or anything else. 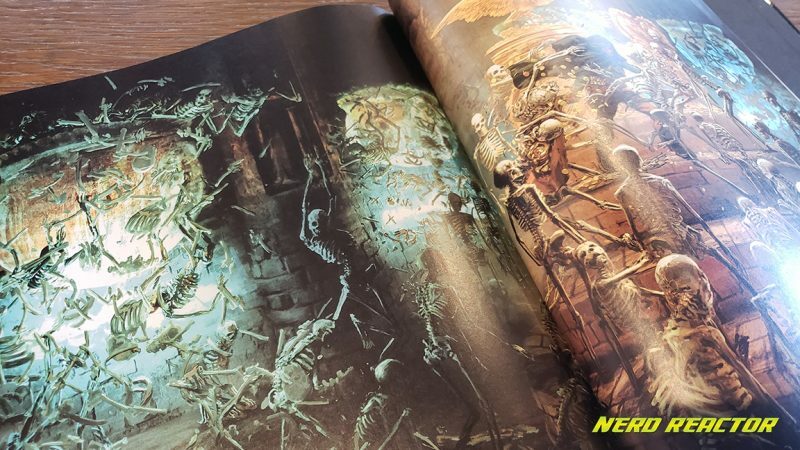 But there is still rumors and hopes that a Planescape dedicated sourcebook is still in development, particularly with the inclusion of material regarding the Far Realm which has been mentioned in Unearth Arcana development tests. Player’s Handbook. Various Dungeon Masters advocate against players having access to lore pieces that can lend itself to meta-gaming and working around surprise situations and relatively unknown adversaries. Some of the joy and mystique of D&D comes from the unknown and the rewards of teamwork and ingenuity can be some of the most rewarding moments of this tabletop game. So this can easily be a great resource for players who want to add depth or try player races off the beaten path, but this is not a crucial piece to the player experience. Expand on standard race lore. Orcs were covered in a previous toolkit, so this book expanding on elves, dwarves, halflings, and gnomes is a great treat. It will hopefully provide the more narrative-inclined folks to create a more in-depth character background that involves with these new anchorpoints provided by this book. 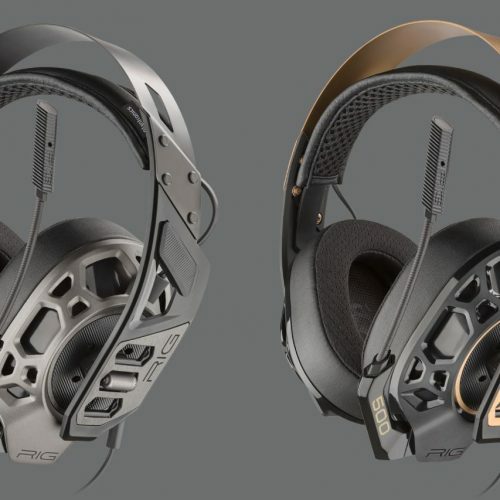 Refined experience. 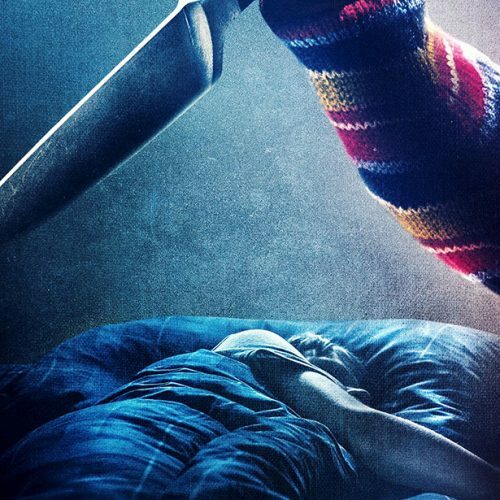 This is something I alluded to in the beginning of the review. This book is easy to understand and navigate. There are visual anchors throughout the book that help indicate what sections are, what information they provide, and where you are in the book. The letter-markers at the corner of the book for the Bestiary serve as an anchor to help you sift through that section, as much as distinguish that this is a dedicated archive for NPCs and not a part of the prior lore pieces. DM Toolkit. Like Xanathar’s before it, the Appendix for this book is an amazing reference for Dungeon Masters. 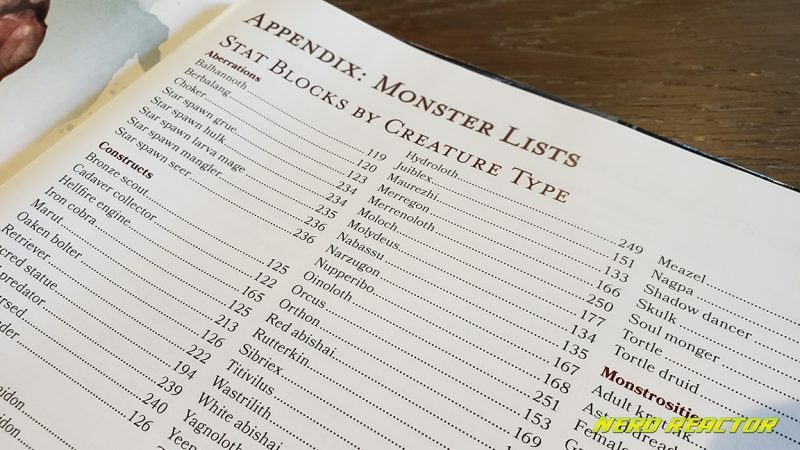 Previously, material like this was stabbed into the pages of the Dungeon Master’s Guide or the Monster Manual, but in 5th Edition, they’ve made these charts immediately available for immediate reference in the back of the book. Whether a player is being asked to help reference material or a DM needs to sort out on the fly some experience distribution, placement of these tools are crucial to the flow of the game. When pieces like these are not effectively organized and designed, it can slow down the game and sap the attention span of the crew. The review for Dragon Heist is coming, but if you didn’t know this book was out— I’d say you can sneak a copy of this into your library. Don’t tell your Dungeon Master! This is a fun book and even as a player, it’s great to have material like this to spark your own adventures. Spread the love, play tabletop games!